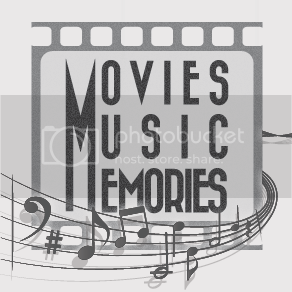 Tan Family Chronicles: Monday's Movies Music Memories! Anyway, I digress. The thing is, in Dragon Story, each player has their own set of dragon islands, and we each have our Wall - much like a Facebook Wall where you can leave messages for one another. It's limited to a short two line messages, and no pictures allowed. So, usually, players simply visit each other's islands, and leave a message on the wall to say that they have visited, hoping that this player would return the visit. (When you visit other islands, the other party gets coins etc). Some people write rhymes, some people type jokes, most people simply say "Played" or insert a smiley face or a general greeting. I used to type "played", until I learnt how to Copy & Paste using the iPad (yes, yes, noobie me...). Then I started to think of things to say that played on the word "play" like "Played hopscotch with your dragons today!" - but that got tiring after awhile... Then one day in early March, there were some song lyrics that were stuck in my head, so I just typed that down, and said "WHAT SONG?" - and people actually started to reply on my wall, guessing the song to the lyrics I just wrote! And since then, everyday, I would change a new song everyday, and pasted the lyrics of the day on other players' wall, when I went visiting. I would choose lyrics of songs that I liked very much and that were relatively popular. The response was amazing! People started guessing and having a great time. On days when I was too busy to play, some people would even drop by just to ask "No song today?". A few of us started sharing which part of the world we were from and there were people from USA, Australia, New Zealand, UK, Pakistan... it was amazing. Hence, I started thinking that this would make an excellent blog meme. Music and Movies are so entrenched in our culture that it dredges up memories of the past.. but first, do you want to see the sort of lyrics I have been posting? THINK YOU KNOW YOUR LYRICS? Let's see how many songs you can identify from the lyrics below without resorting to googling them for the answer! Bonus if you know the title and artist/s too! "Before this river Becomes an ocean Before you throw my heart back on the floor..."
"Lay a whisper, on my pillow, leave the winter on the ground." "So don't stop me falling It's destiny calling A power I just can't deny..."
"But you gave away the things you loved and one of them was me..."
"I'd live and I'd die for you. I'd steal the sun from the sky for you. Words can't say what love can do..."
"I don't want to be tied. To anyone's strings. I'm carefully trying to steer clear of those things..."
"Then it happened one day, we came round the same way. You can imagine his surprise when he saw his own eyes"
"But there's a pretty little thing Waiting for the king. Down in the Jungle Room..."
"There was blood and a single gun shot. But just who shot who?" "If I made you feel second best, I'm so sorry, I was blind..."
Now, how many of that did you know? :) Better yet, what sort of memories did those songs bring up? Update: Song titles & Artist answers to the above songs are already submitted in the comments section, in the first comment by MummyMoo. ... ! @#$% I just gave away my age. Aiyo! Miss Regina is walking juke box! Didn't even have time to reply. tsk. I had fun. Had 7 out of 10!